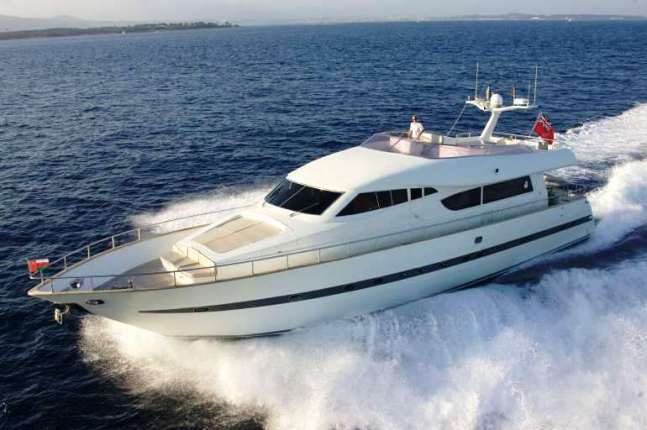 Motor yacht LAYSH LA (previously "DI NOZZE") is a 25,00m (82') Amer built motor yacht. 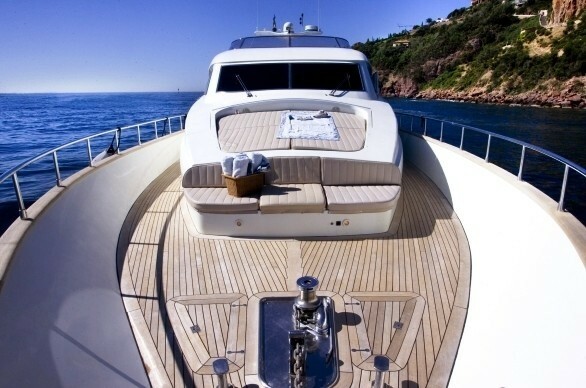 She was built in 2001 and has since been refitted in 2007. 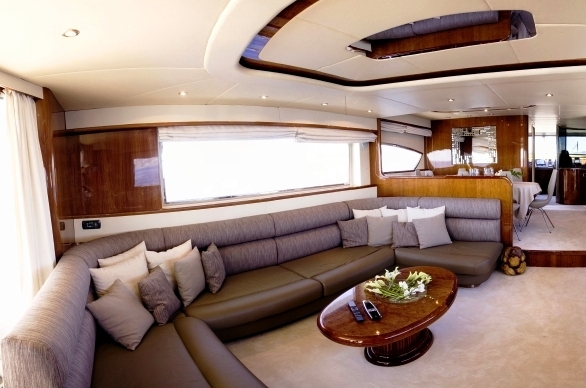 With interior styling by Studio Torrigini, this 25m Amer yacht has a stylish and well finished interior along with a sleek and functional exterior. 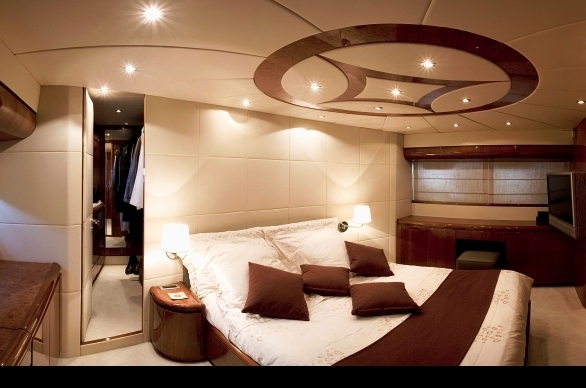 LAYSH LA can accommodate 8 guests in 2 double and two twin staterooms all with ensuite facilities. 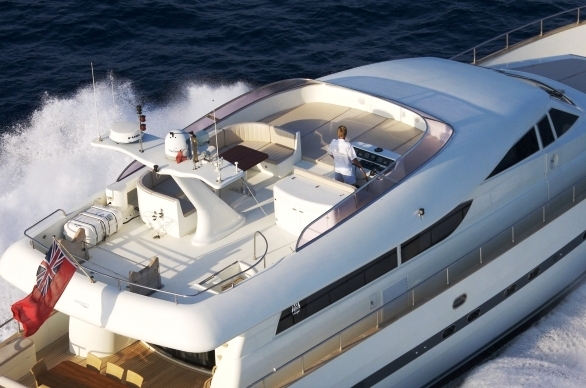 Motor yacht LAYSH LA benefits from a modern and aggressive design which gives her a powerful presence. 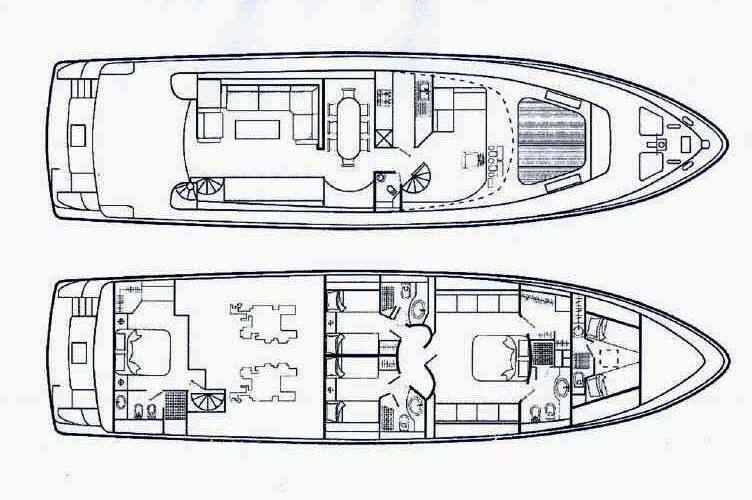 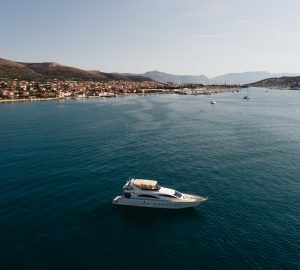 The height of her bulwarks along with the width of her side decks insure a high level of safety and signifying that she has been designed for serious cruising and fun chartering. 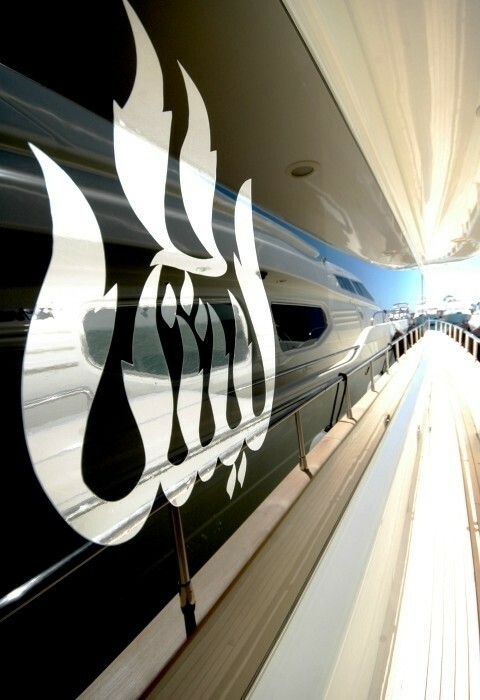 LAYSH LA has a beam width of 6.0 meters enabling outstanding interior volume. 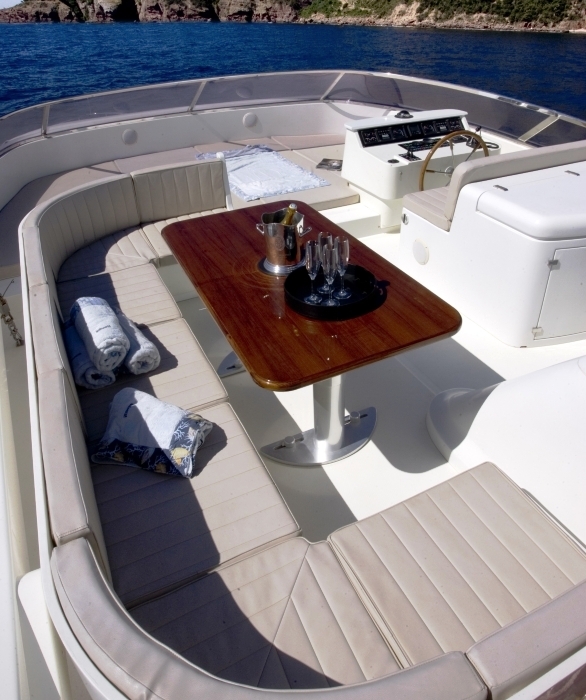 Her interior has been tastefully finished in varnished cherry wood and cream leather upholstery. 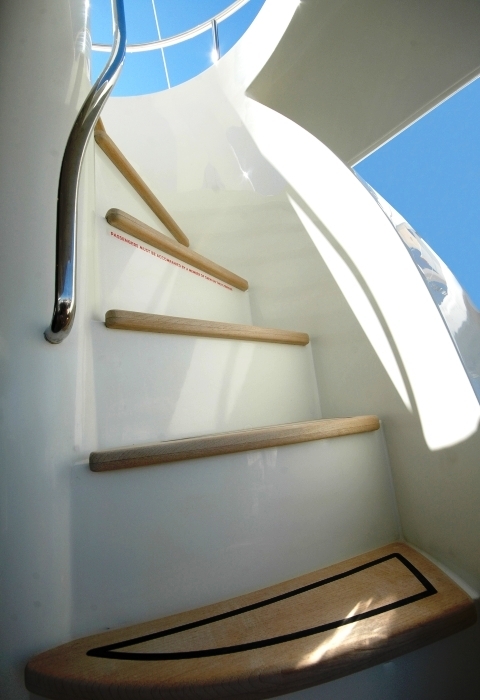 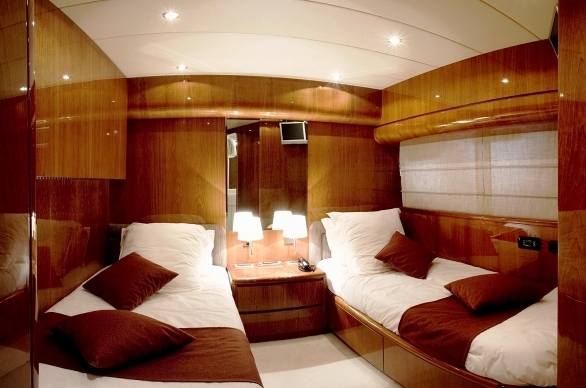 The yacht features two double and two twin cabins, for 8 overnight guests. 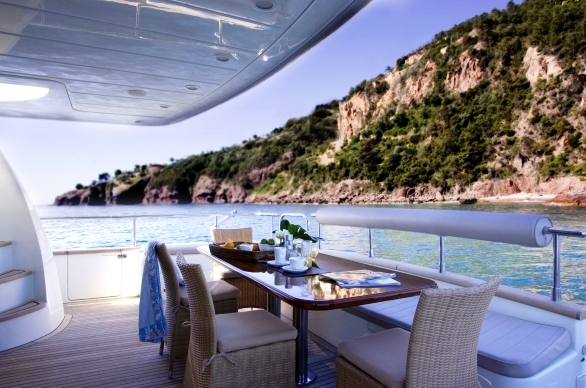 Her outside deck spaces are similarly impressive and offering an outstanding level of comfort. 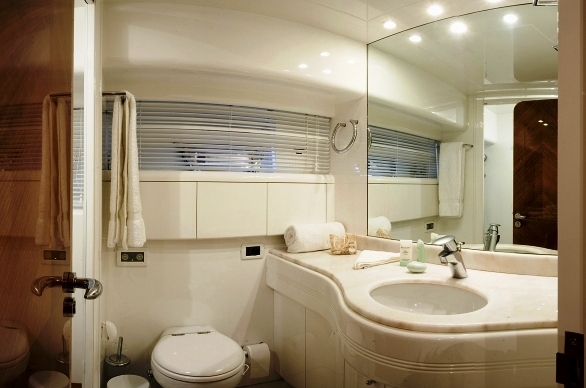 M/Y LAYSH LA (previously "DI NOZZE") offers accommodation for 8 guests in 2 double and 2 twin staterooms, each with en suite facilities. 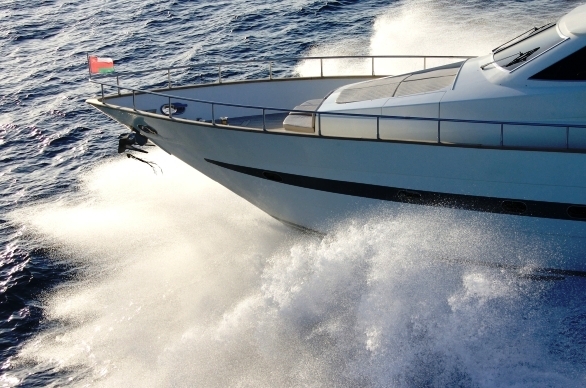 Motor yacht LAYSH LA has the following selection of Tenders and Toys: A Jetpro Tender, 3.40m, with 90hp, Waterski, Donut and Snorkelling gear. 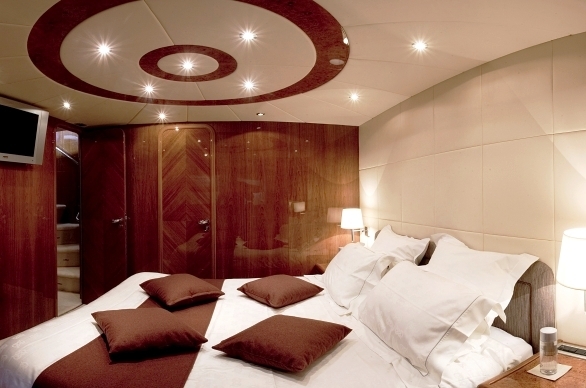 Her Audio Visual Equipment and Deck Facilities include an LCD TV, DVD player, HIFI and Xbox or Play Station wireless in each cabin. 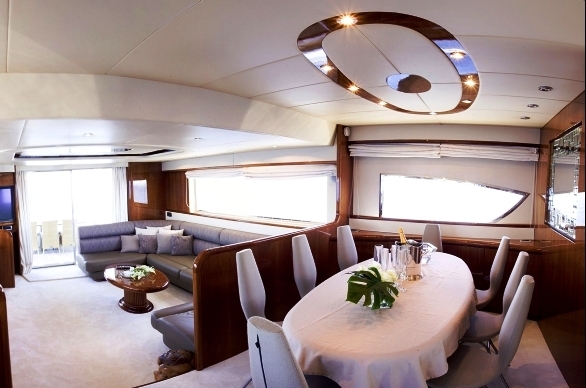 LCD, HIFI and MP3 in the salon.HIFI on the upperdeck.